Thank you Brent for the great review. We love hearing that you are happy living here at Warehouse & Factory. We will continue to give you the great customer service you deserve. The apartments are nice, although move-in was incredibly unorganized and took me hours (apparently they didn't have my key and had to go make a new one). Then once I finally got my apartment keys the elevator broke so I had to carry all of my belongings up the stairs to the 4th floor. New management seems very nice and I'm excited that they will hopefully be much better than the previous ones! Thank you Jonathan for the review. We are so excited to be your new management team. We love to be informed of anything we can improve on the property. Thank you for the great review Nastassja! We look forward to meeting you soon. Good place to live. Reasonable price in college station area. A lot of dogs in this building. The staff are really friendly and helpful to the residence. Thank you for the review Zhubo. It's great you love living here at Warehouse & Factory. We will keep your experience with us great! Thank you for the review Elaina. We love to hear that you like the new management here at Warehouse & Factory. Please feel free to reach out to us with any concerns you may have that could help us improve. We love the feedback. I've really enjoyed the new management that came in. Peak campus was awful. As a resident with peak, I would not recommend them. This new management group seems to be a lot more professional. Things are slowly getting better. Thank you for the review Andres. We will definitely continue our professional & customer service driven attitude. We know things may have started off rocky but we are looking to improve all aspects. Great location. Having issues getting maintenance to my apartment to fix things that I put work orders in for in August when I first moved in. Issues with people leaving their dog poop outside of the parking garage between the building. Thank you for the review Erica. We would like the thank you for informing us of any areas we need improvement on & will definitely be addressing. We would love to speak with you about any thing needing to be done in your home. Please feel free to stop by the office our give us a call at 979-268-4780. Personally I love my residence, location is great, and the site is clean. Most if not all residents are respectful and polite. Would highly recommend living here for anyone. Thank you Matthew. We love the great reviews!! I have loved living here so far and it is very peaceful and quiet during the week and even during the weekends. My only complaint is that we were supposed to have TVs included with the furniture and we still have not received it. Thank you for your review Adrian. Thank you for speaking highly of Warehouse & Factory. We would like to speak with you in regards to your review. Please contact us at 979-268-4780 or come by the office so we may resolve your apartment home needs. Excellent aesthetic. Excellent amenities. The staff is always eager to help and very accommodating. Only complaint is upkeep of the green spaces around the building. Thank you so much for your review Lauren. Your suggestions are very valuable to us. We are definitely looking into the landscaping around our community to make more appealing & will are starting a weekly call for maintenance requests to ensure the residents happiness. I believe that my time at warehouse and factory has been mediocre at best. The staff has been unreachable at most times and has not responded to maintenance calls. However, with the new management things are starting to change for the better. Thanks for the review Blake. We will do our best to make your stay with us more enjoyable. If you get a chance please stop by the office so you can meet the new staff. We strive for the best customer service & would love your input on areas that need improving for our wonderful residents. Great apartments with great location. Focus on putting money towards nice, spacious units instead of useless “amenities” that other apts offer that only attract freshman. We appreciate your review Jack. 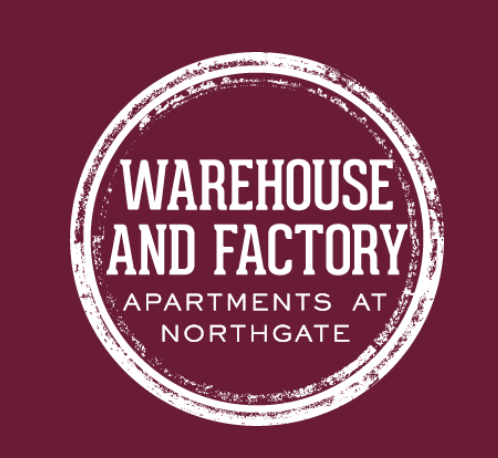 We love hearing that you enjoy living at Warehouse & Factory. Thanks for sharing! I’ve had a very positive experience living in this apartment building for about a year and a half. The staff has always been very attentive and kind. I am very impressed by how smoothly the transfer of management went and I didn’t have any negative experiences during that process. So far I really like the new management and while I didn’t have many problems with the old management, I feel that so far the new management is more “on top of things” such as enforcing the parking rules more strictly. The absolute only complaints I have about this building is that since I am on the first floor there can be a lot of noise from the street especially during the weekends. I don’t know if residents in upper floors have this same issue or not. I’ve also had some problems with light bulbs burning out very quickly in the kitchen, but I haven’t found this to be a huge inconvenience rather than just slightly annoying. I would recommend this apartment building to anyone especially if they are looking for a short commute to campus. I’ve really enjoyed living here and I will be sad to leave when I graduate next spring. Great review Suzanne. We are glad you are happy with your home & the management team. We thank you for your suggestions & will look into making these adjustments to improve your stay.